“BANNED!” by Ret Talbot – opening spread, July/August 2014 CORAL Magazine. This online article is an excerpt which first appeared in CORAL Magazine’s July/August 2014 issue, pages 48-54. Be sure to see the full issue for several additional stories on this topic. 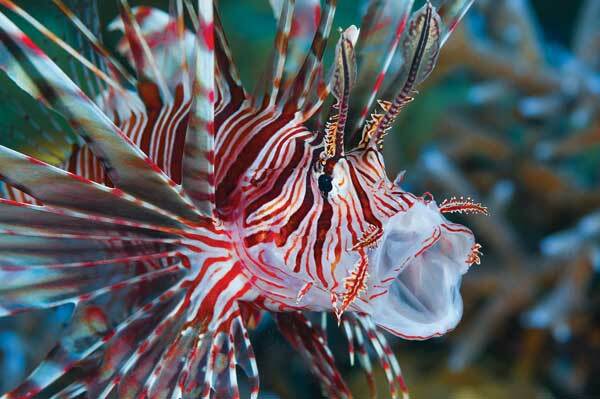 After many months of fact-finding and testimony, the seven Florida Fish and Wildlife Conservation Commission (FWC) commissioners in mid-June voted unanimously to approve controversial final state rules that make importing lionfish from the genus Pterois illegal effective August 1st. This is serious business, as Florida spends in excess of half a billion dollars annually combatting invasive species. In addition the commissioners approved widely-supported lionfish rules that allow persons diving by means of a rebreather to harvest and possess lionfish and also allow the Executive Director to issue permits to events in order to allow the use of spearfishing gear to remove lionfish or other nonnative invasive species in areas where spearfishing is otherwise prohibited. The actions were taken against the backdrop of the most destructive marine fish invasion ever documented in the western Atlantic and perpetrated by two lionfish from the genus Pterois: P. volitans and P. miles. 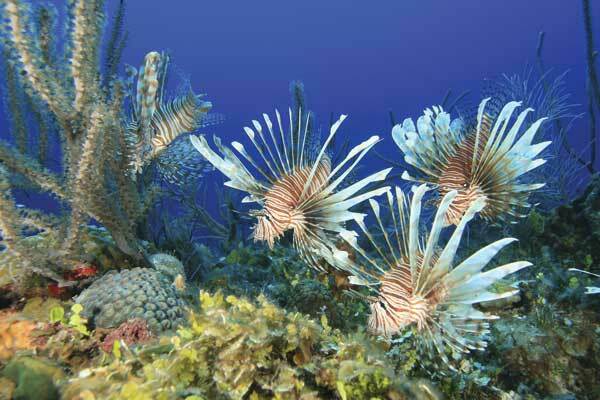 Most stakeholders agree banning the two established and invasive species of lionfish is a good idea. 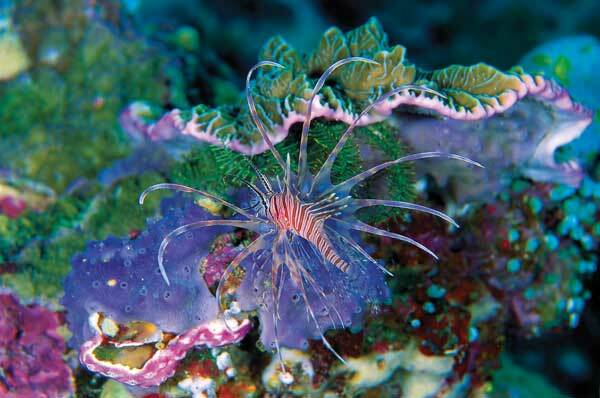 Unlike the other species in the genus, the best available science suggests that an import ban on these two species may in fact assist with mitigating the lionfish invasion. Recent studies have shown that a more robust lionfish fishery targeting the animals for both food and aquarium use can help deplete invasive populations. Because the food fishery and the aquarium fishery often target different sized lionfishes, encouraging both fisheries is critical. Banning P. volitans and P. miles from import will, FWC contends, create more demand for the harvest of invasive lionfishes and will in turn benefit native wildlife and ecosystems. Jeff Turner, president of the Florida Marine Life Association (FMLA), which represents many of the state’s professional fish collectors, was one of several individuals who provided stakeholder comment as the FWC lionfish rules were being drafted. FMLA represents many of the State’s professional fish collectors. 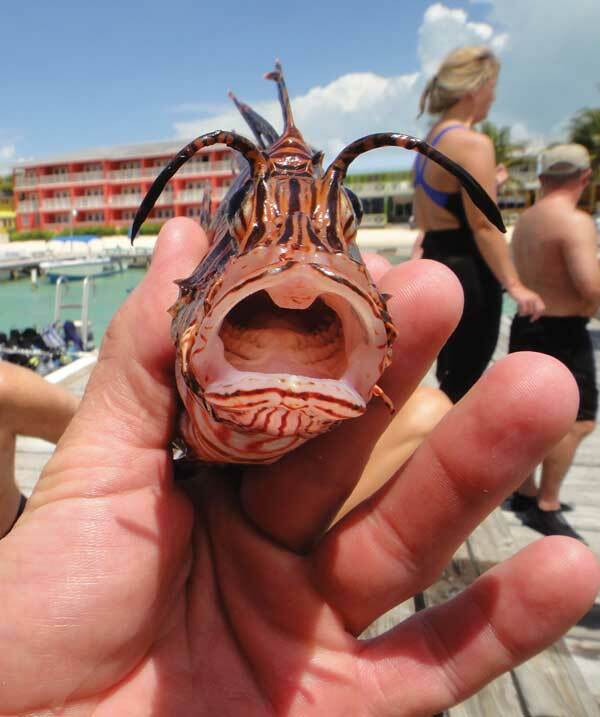 Like everyone who provided public comment on the lionfish rules at the draft rule hearing in April, Turner suggested the State should only ban the two currently established and invasive species of the genus from import. By deciding to include all species in the genus in the import ban, FWC has banned the importation of several popular aquarium lionfishes that have never been reported in Florida waters. Both the Mombasa Lionfish (P. mombasae) and the Radiata Lionfish (P. radiata) are small, attractive lionfishes from the banned genus that will no longer be available to Florida aquarists. This will, according to some aquarium industry leaders in the state, put Florida-based importers and wholesalers at a competitive disadvantage. The new rules allow harvest of invasive P. volitans and P. miles in Florida state waters for the aquarium fishery, food fishery and recreational fishery, and Florida wholesalers will be able to buy and sell these two species so long as they are collected in Florida waters. NEEDED RULES OR SIMPLY PUNITIVE? Both Turner and Moore believe there are already rules and laws in place in the State that regulate the aquarium trade and, according to Moore, make this import ban on the entire genus little more than punitive. There are species of freshwater fishes that are banned from import all together like piranhas, but Moore says it’s not a good comparison to lionfish. While she says Segrest has lost some sales because of piranhas and some other freshwater fish species being on the Florida prohibited species list, she believes the lionfish situation is quite different. “I’ve lost some sales from not having piranha,” she says, “but trade in them is very limited. It’s very understandable to us and to our customer base why they are not allowed in Florida.” Moore says she feels the same way about most of the species on the freshwater prohibited species. This gets at one of the aspects of the rule that bothers Moore most—the notion that the hobby is irresponsible. She feels the ban is unfairly punitive for the marine aquarium trade and marine aquarium hobbyists. Moore does not accept the premise that the aquarium trade is responsible for the lionfish invasion in the state of Florida, as she simply does not believe aquarists could have released enough lionfish to cause the invasion. She, for one, suspects the invasion might be traced to juvenile or larval lionfish released with bilge water from ships coming into the port of Miami. Most scientists who have studied the lionfish invasion in the western Atlantic disagree, and those that have focused on the genetic fingerprints of the invasion, say that a relatively few individuals released as a result of the aquarium trade and hobby are likely responsible for the invasion (see page 60). 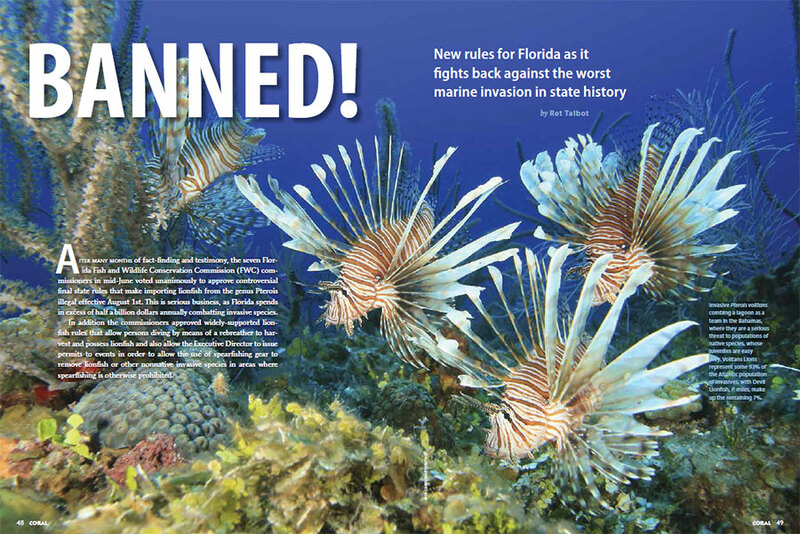 Where Meyers thinks the new rules misstep is in the fact that it bans from import species of lionfish that are neither invasive nor even reported to date in state waters. “We suggest that consideration should be given to classifying Pterois species—other than P. volitans and P. miles—under the FWC’s conditional species rules.” Despite this request made to the state during the period of stakeholder input, FWC has approved a complete ban, and according to an FWC spokesperson, they are not considering listing any lionfishes under the conditional species rules. For Marshall Meyers of PIJAC, it comes down to doing the due diligence when it comes to assessing risk. “We advocate conducting risk analyses for non-native species with elevated risk of adverse impacts prior to the promulgation of regulatory restrictions,” says Meyers. “These transparent processes allow for stakeholder involvement in the development of risk mitigation strategies, including regulatory and non-regulatory options.” Meyers points out that PIJAC has long been involved in risk analysis, dating back to the first national model—the Generic Nonindigenous Aquatic Organisms Risk Review Process, developed under the aegis of the Aquatic Nuisance Species Task Force)—and we would be happy to provide our expertise to reduce the risks to the State of Florida. Many aquarium industry leaders like Moore worry that the aquarium trade is at risk of being regulated and legislated out of existence. “Our detractors would not have us trade in ‘exotic species’ for fear of invasiveness. Remember HR669?” she asks referring to The Nonnative Wildlife Invasion Prevention Act that was proposed at the Federal level. “That would have stopped trade of all fish except common goldfish. While many of those in the aquarium trade express anger over the “broad brush” FWC employed when it banned the whole genus, the ban has widespread support amongst the public in Florida. Florida is literally under assault from invasive species, and the lionfish invasion has become a very public story. 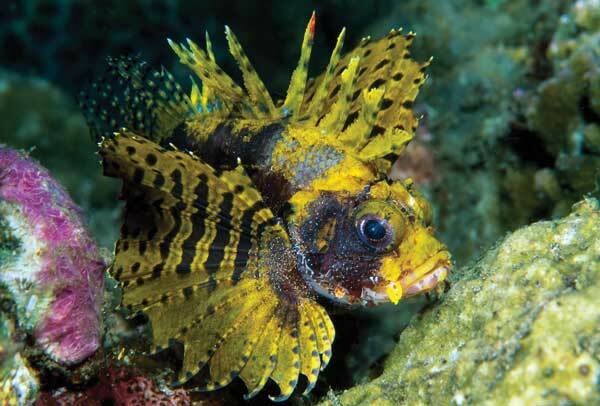 While nobody thinks the new lionfish rules will eradicate invasive lionfishes from Florida waters, most of the new rules will assist in controlling the invasive populations. While education is a powerful tool and the State is doing more to raise awareness about the danger of non-native species, it seems that, at least for the time being, state wildlife managers are also willing to use more extreme measures in the fight against invasive nonnative species. Like what you read? Be sure to support CORAL Magazine’s in-depth, professional aquarium journalism, bringing you meaningful content that makes a difference!